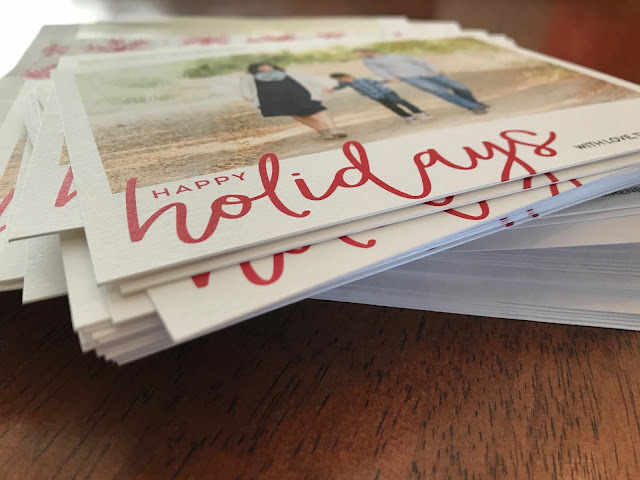 Chasin' Mason: Holidays Cards with Shutterfly. 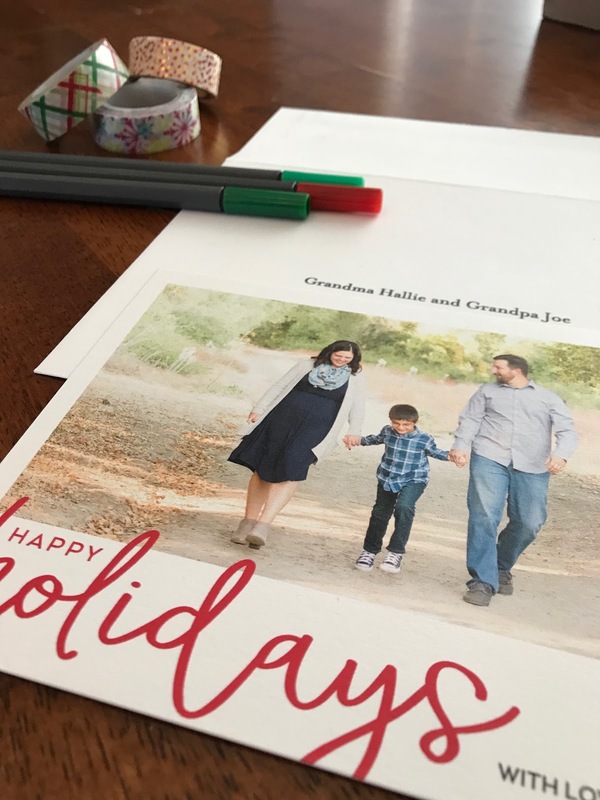 By now, our holiday card should have arrived in everyone's mailbox, so I feel like I am free to share it on the blog with the rest of the world. 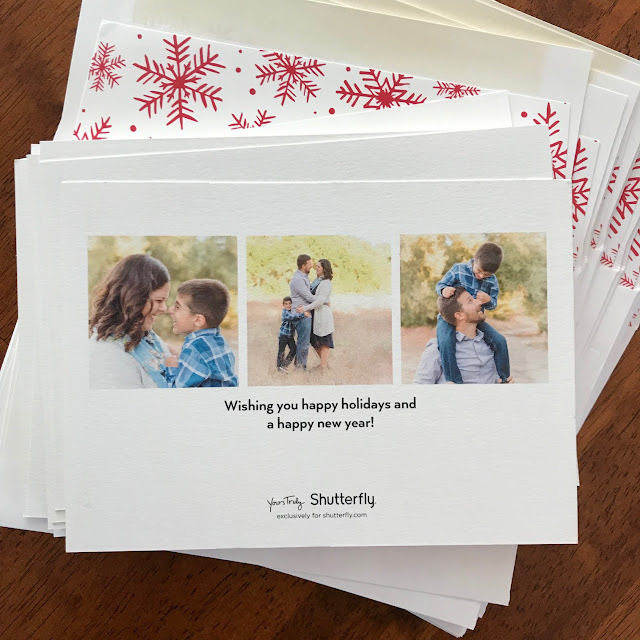 This year I decided to go with Shutterfly for our holiday cards because of how excellent their customer service and their products have been in the past. 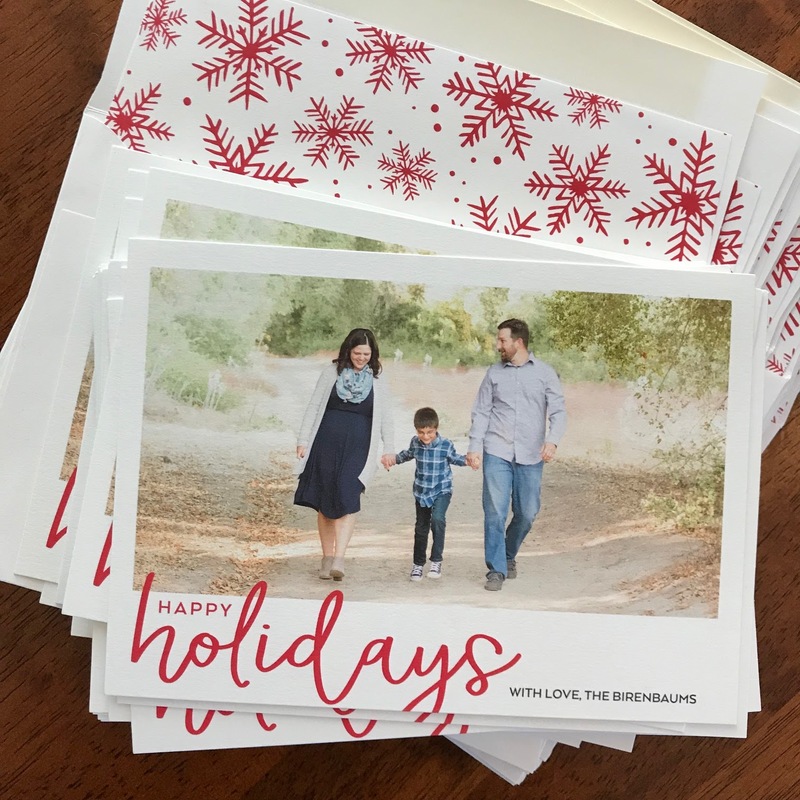 While I haven't actually ordered any cards from them in the past, all of the other products (photo magnets, cell phone cases, etc) have been of excellent quality and I knew their holiday cards would be no different. 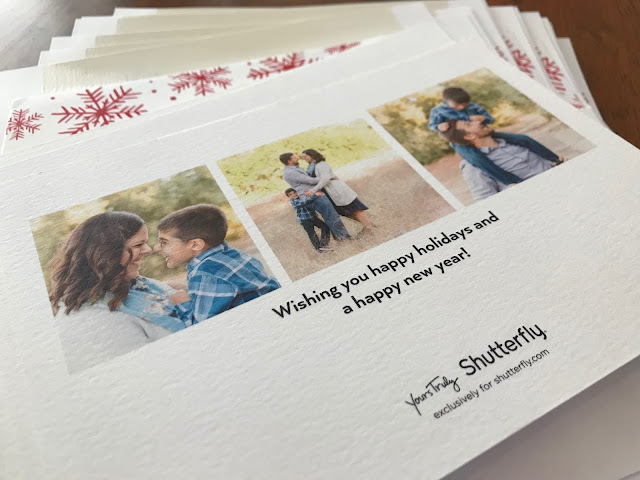 I had a hard time narrowing down which photo I wanted to use for the front of our card, but thankfully Shutterfly's "show my photo on every card" option helped me see which one looked best with each design. I also had a hard time narrowing down which card I wanted because they had so many gorgeous ones! From foil to glitter to the number of pictures on the front and/or back and so much more, they really do have it all. Going in, the one thing I did know was that I wanted my cards to be "holiday" themed and not "Christmas" themed. I send cards to friends and family who celebrate Christmas and/or Hanukkah and I wanted my cards to be versatile. This is the card that I ended up choosing. I, personally, love for our picture to be the center of attention on the card, so I chose a slightly more subdued "happy holidays" theme and chose to only have one photo on the front of the card. 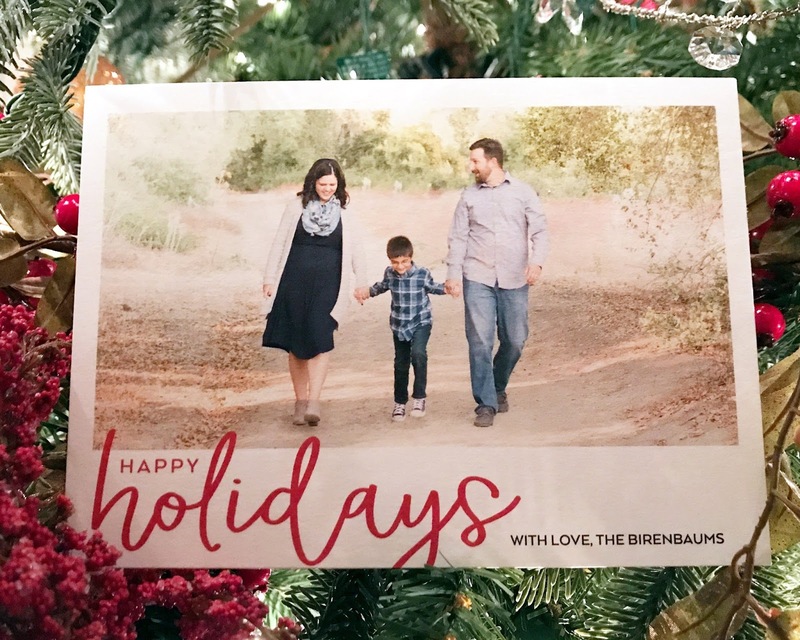 A simple pop of red to balance out the blues and greens in our photo and I feel like it is a good mixture of holiday festive while still letting our picture shine. Then I chose a red and white snowflake design for the envelope inserts to really tie the whole thing together. 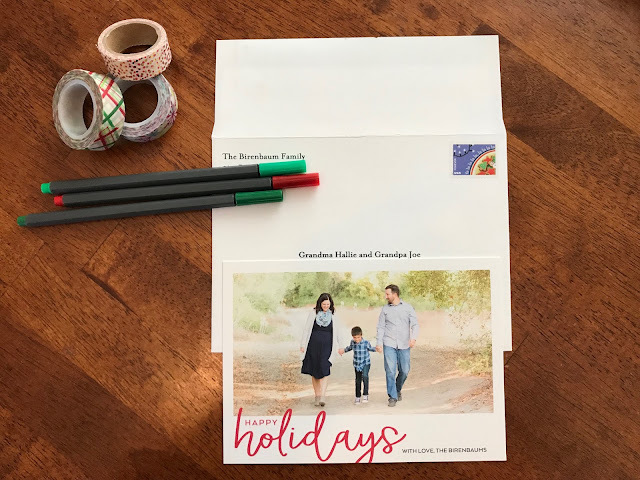 And because one picture on a holiday card just isn't enough and I HAD to share more of our family photos, I opted to put a few on the back as well paired with a message wishing our friends and family a happy holiday season and a happy new year. Overall, I really love the quality that you get with these cards. The paper was thick, the photos were crisp, and I felt like I was really getting great quality for my money. 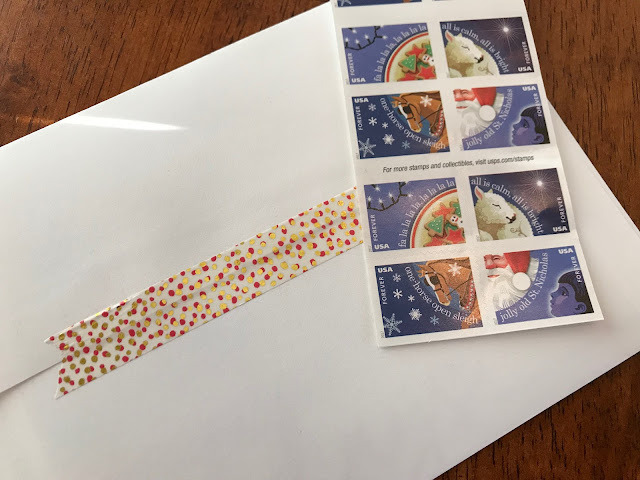 While I didn't decide to take advantage of the option this year, I also love that you can create personalized stamps as well as return address labels so you cards fully coordinate. Instead I opted for the option for them to address the envelopes for me (I simply uploaded my address book in to my account) as well as include a return address. (Best. Decision. Ever.) Then I finished the envelopes off with some fun washi tape and some festive stamps that I bought at the post office. A special thank you to Shutterfly for helping me create such beautiful holiday cards that I am proud to send to our friends and family this year. Hope our friends and family love our cards as much as we do! You card is one of my favorites!! But you know this already 😘 Im checking the mail box every hour- mine should be delivered today!! Seriously love your card! And that washi tape you found was the perfect finishing detail! LOOOOOOOVE your pic, my friend! You are too cute! All of you! I adore your card! It's seriously just so perfect. The front photo brought the biggest smile to my face, and the back three are just so cute of the three of you. Stitch Fix #19 + Waived Styling Fee Extended!